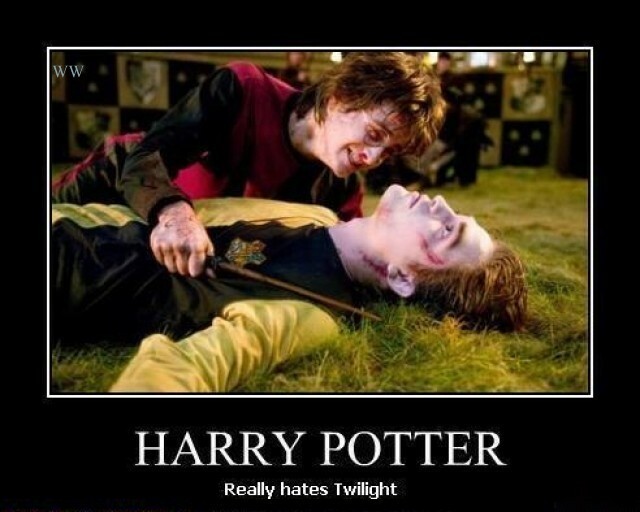 "Say, Harry, there's that prat Cedric Diggory." 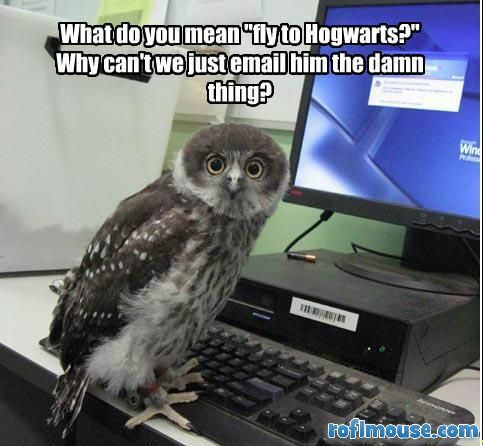 "That stupid git? Professor Trelawny said something about Cedric buying the farm early on and becoming a glittery undead being hanging around with a sullen cipher. 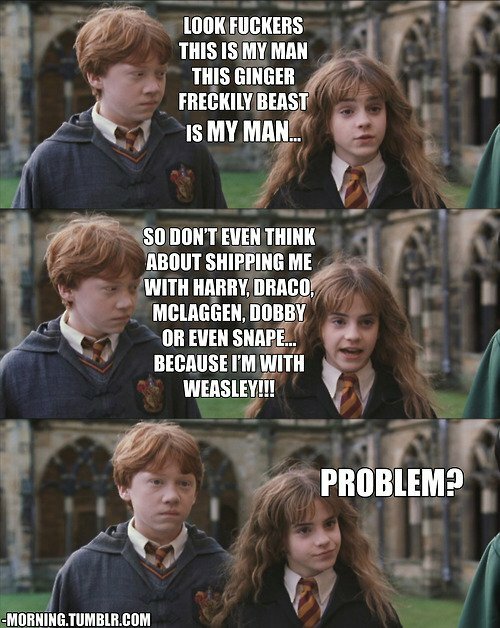 I don't know what she meant by that, Ron. 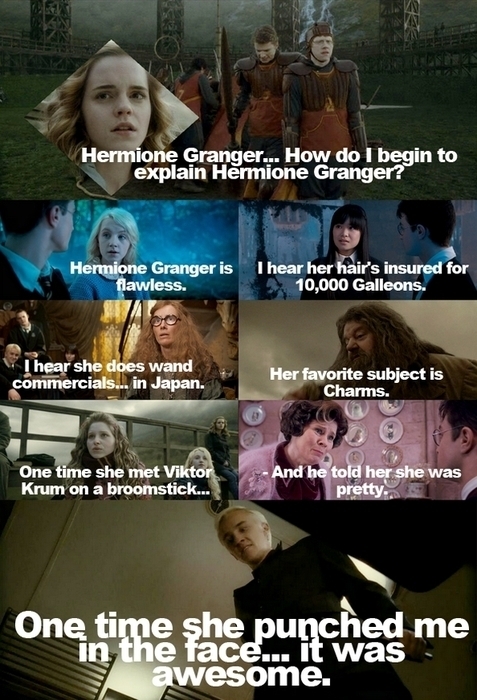 She doesn't make sense half the time..."
"Professor Dumbledore! 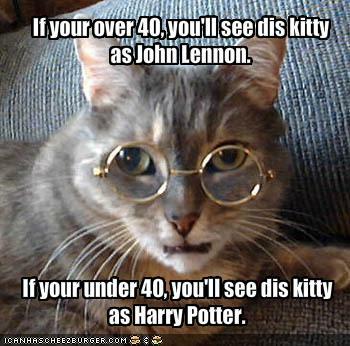 Professor McGonagall! Oh my God!" 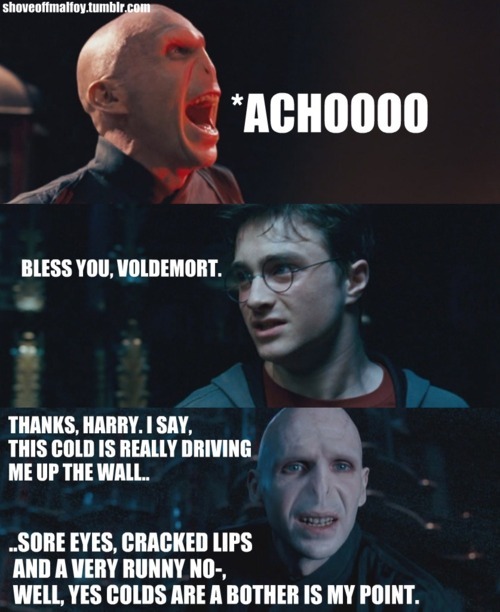 "Oh, hello, Harry. Was there something you wanted?" "Dear God, my eyes!! I'll never get the image of naked professors out of my head! And... I thought, I heard a rumor... don't you swing the other way, sir?" "Any port in a storm, Harry." 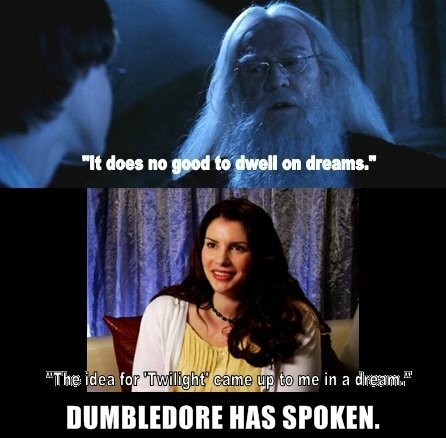 "That's not very romantic, Albus." 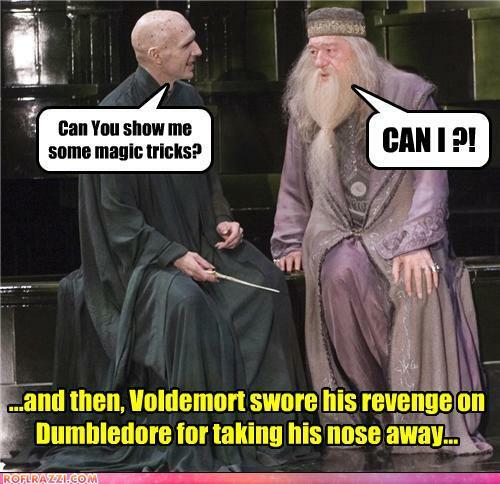 "I don't want to kill you, Voldemort. I don't even want to fight you. No, I'm here to join you. Bet you didn't see that one coming, the Boy Who Lived ready to betray every friend he ever had to turn to evil...."
It's nearly at an end. 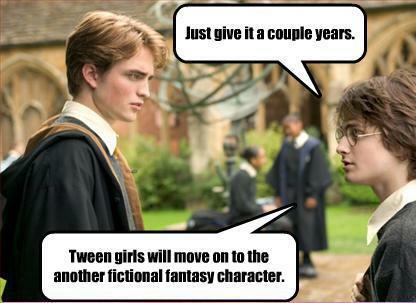 A generation who grew up reading Harry Potter books and watching the movies is about to come to the end of the line. The last film, Harry Potter and the Deathly Hallows Part Two is about to be released, and that'll be it for poor Harry, Hermione, and Ron. 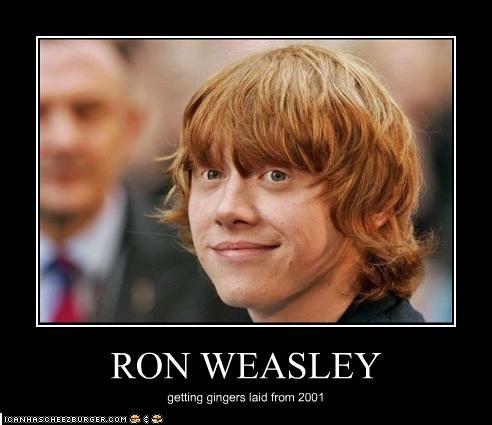 So I thought I'd devote today to a Harry Potter image blog, and speculate a bit on what might be to come. Enjoy. Oh, and if you haven't read the books and are waiting for the final film, you may want to be advised that there might be spoilers about. And a shot or two at a glittery vampire who was once in the cast of these films. After the release of Half Blood Prince, I read the book. My sister-in-law hadn't had a chance, and at the time, I teased that the seventh book would be titled Hermione Granger And The Year of Mourning, because Harry and Ron got killed off at the end of the book (obviously that didn't happen). 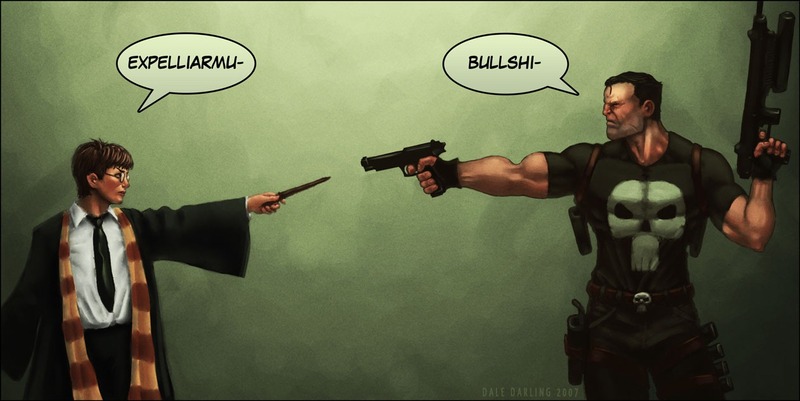 And when Deathly Hallows was released as a book, I mused on the notion that JK should have had Harry betray everyone and turn evil. All it would have done was traumatize a generation of readers, right? No big deal, right? 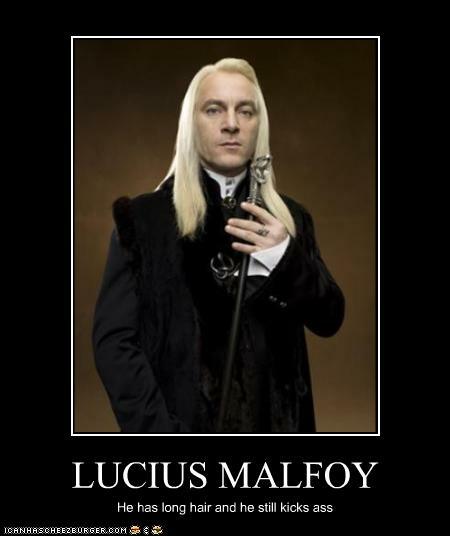 For the record, Snape is the best character in the books and the movies. Period to infinity forever. Called it. So what's to come for Harry and his world now that the series is over? 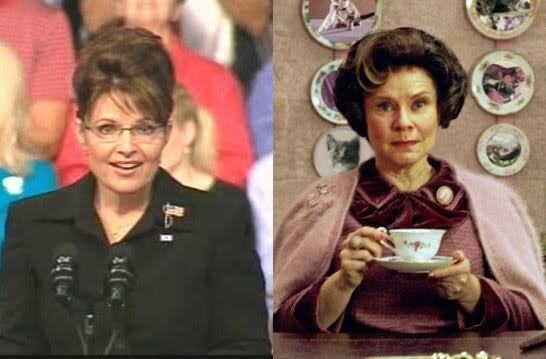 Will Umbridge run for office like her wacky cousin Sarah? Perhaps a crossover with the criminal slaying vigilante called the Punisher? 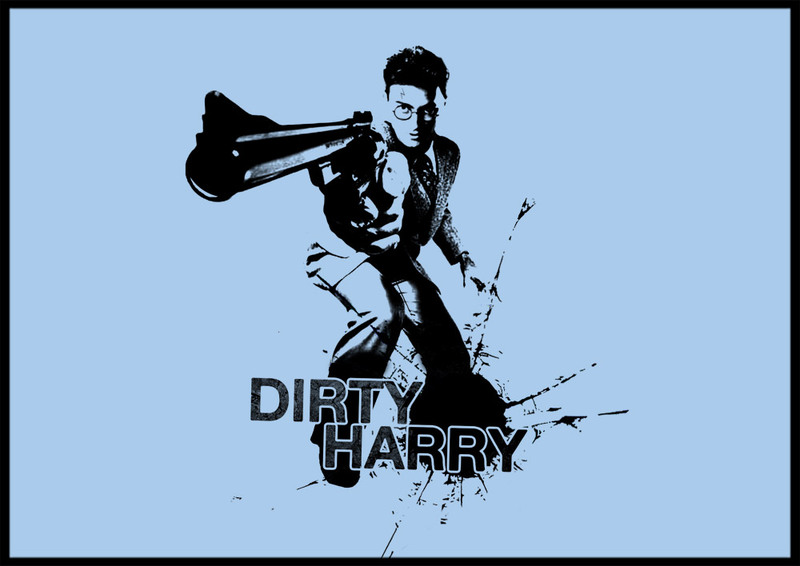 As an Auror, will Harry become Dirty Harry? Or a reboot of the series with actors who to one degree or another have been known for their fondness for recreational drugs? 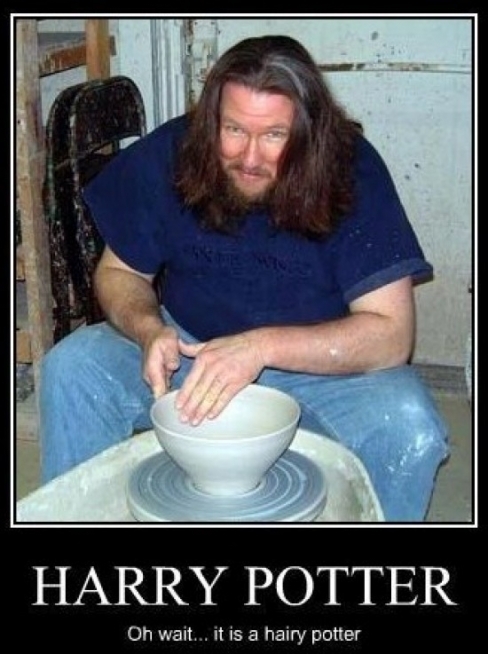 Might Harry just chuck it all and take to becoming an artist? Is this Harry at age forty five? Unfortunately JK is done writing Harry. 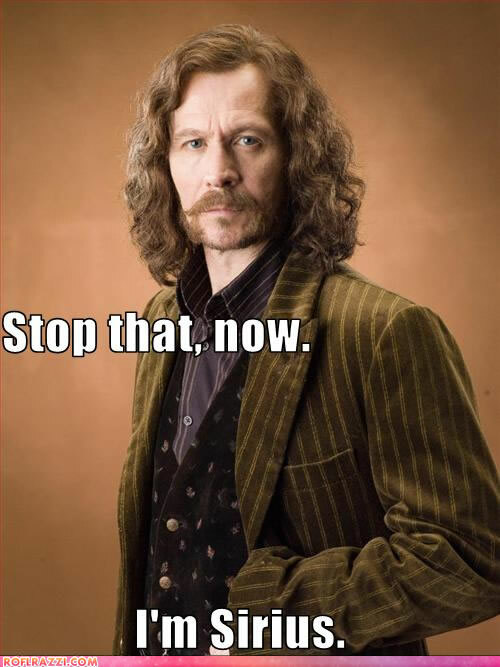 She says there won't be another book with Harry, Ron, and Hermione. 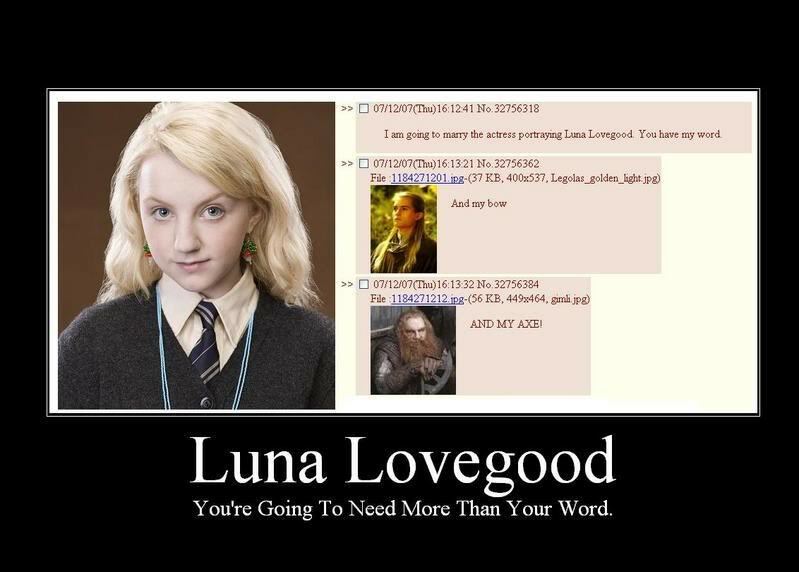 She could, if she likes, write about the founders of Hogwarts (to JK: I get 20% of the proceeds if you do). 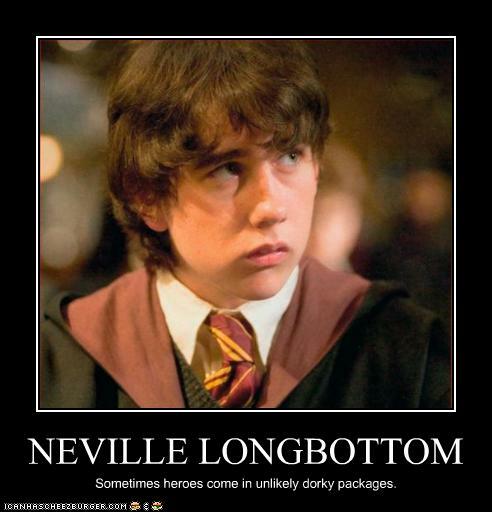 So there's not going to be a Harry Potter and the Mid-Life Crisis, where Harry realizes he should have married Luna, Cho comes out of the closet, and Neville becomes Minister of Magic. 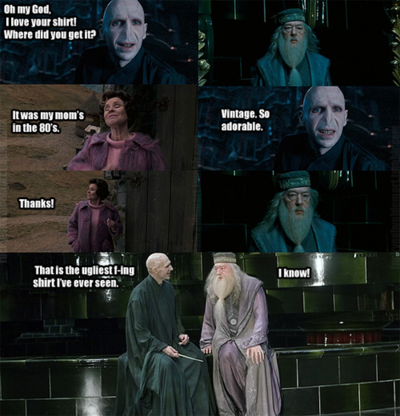 I really wish they'd used all that dialogue in the movies. That would have been fun! 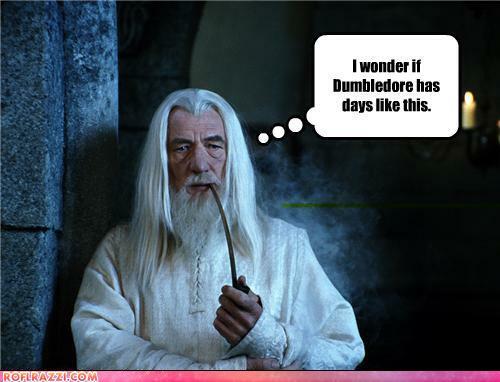 Not much of a Potter fan after the second movie seemed to grow darker and darker....Now it's called the Deathly Hallows? 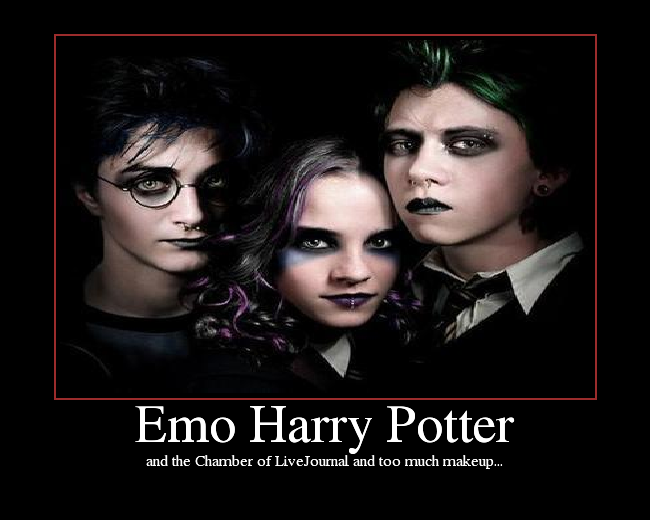 Strange...sorry J.K. I think you let Hollywood take your life story and run with it. Of course maybe I shouldn't say that until I've read a paragraph out of one of your books. Great post and yes, I adore men with big noses! 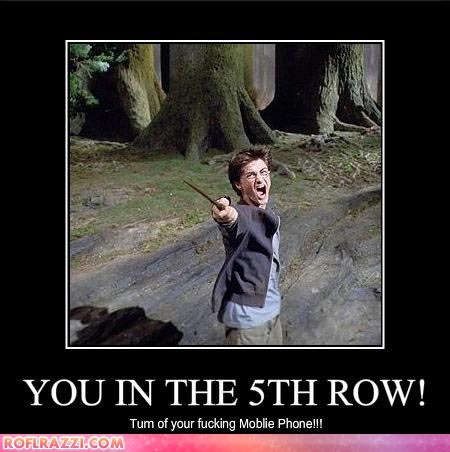 I'm with you on Snape. But then Alan Rickman is the only reason to ever watch Robin Hood Prince of Thieves. I could just listen to him be evil all day. Or not evil. that works too. I'm laughing too hard to even comment! I like the Snapes on a plane one...! Way cute. Ha ha ha,Snapes on a plane! So simple, yet so funny. 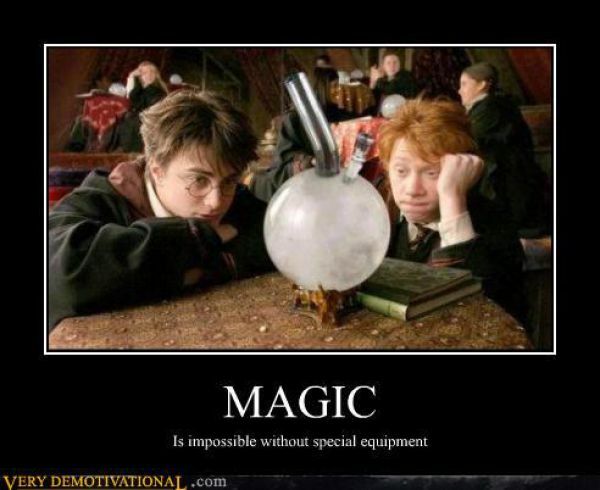 I also enjoy the "magic is impossible without special equipment". 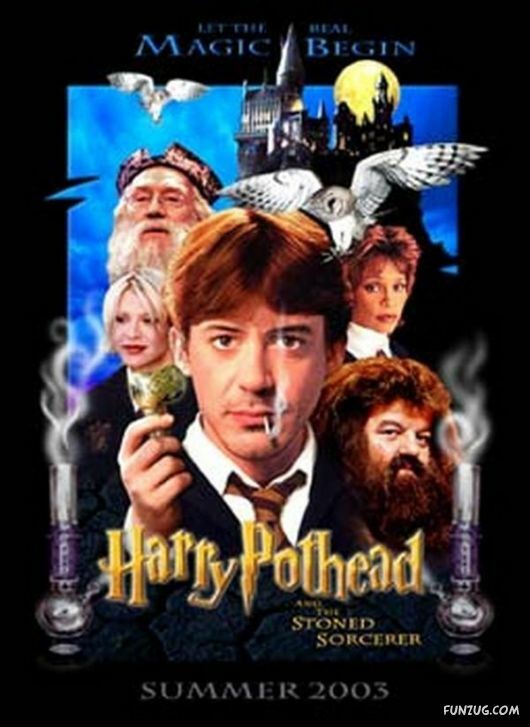 Is that a bong?! I am dying laughing. 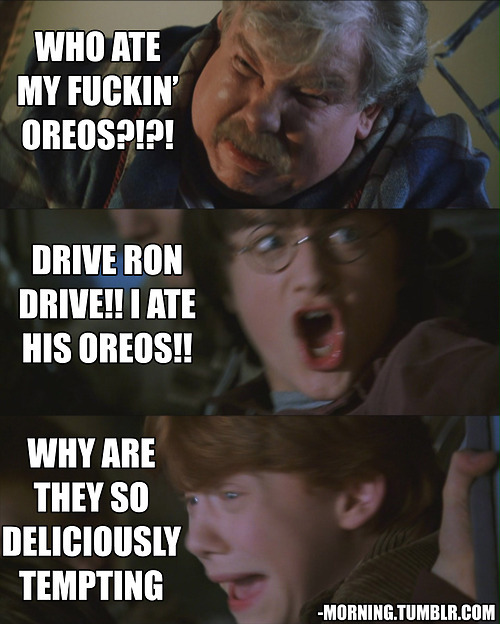 These are too good. It's hard to narrow it down. 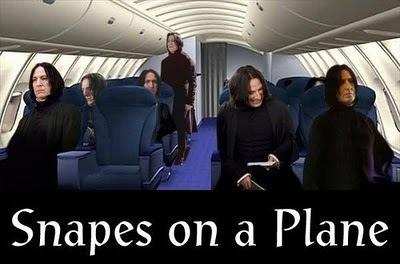 wahahahahahahahahah... Snapes on a plane ! Perfect, I am so there. @erinlausten, I so agree. Alan was the only reason to watch that movie. 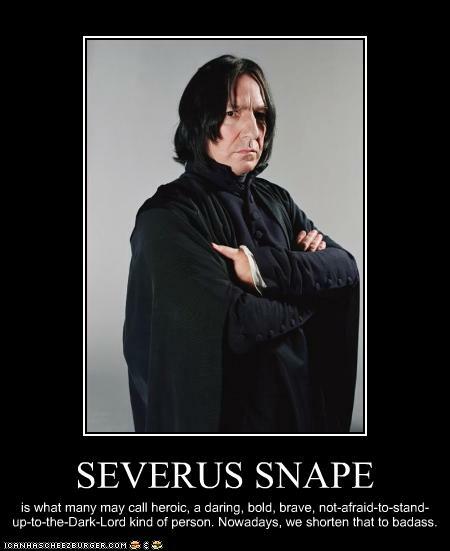 Snape is one of my favorite character. I have read all the books, especially when my daughter was younger we would read them and talk. We even went to a late night Harry Potter event at the Bookstore... see if you can do that with a Kindle ! opps off track ! I have lots to say about the art direction took in later movies but that is a whole other tangent. @Beth: Your little one hasn't pestered you to read the books or see the films yet? Oh, gawd. These pics and posters are absolutely hilarious. Thank you. I needed the laughs today. P.S. Nice to meet you today, William! I love these. And you are absolutely right. 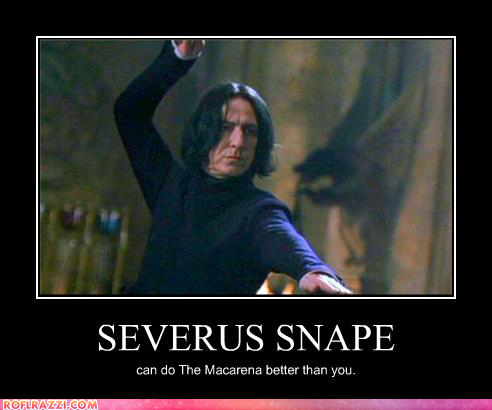 Snape is the best. Those are great! 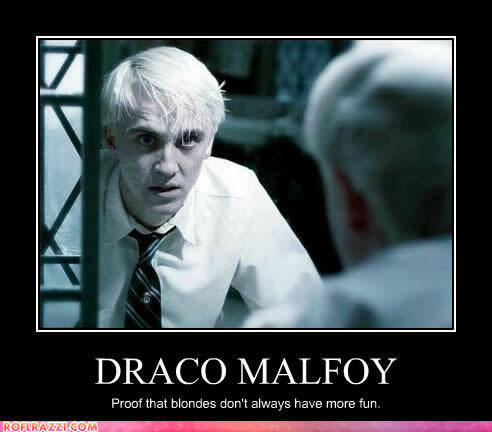 You're so right about Snape. 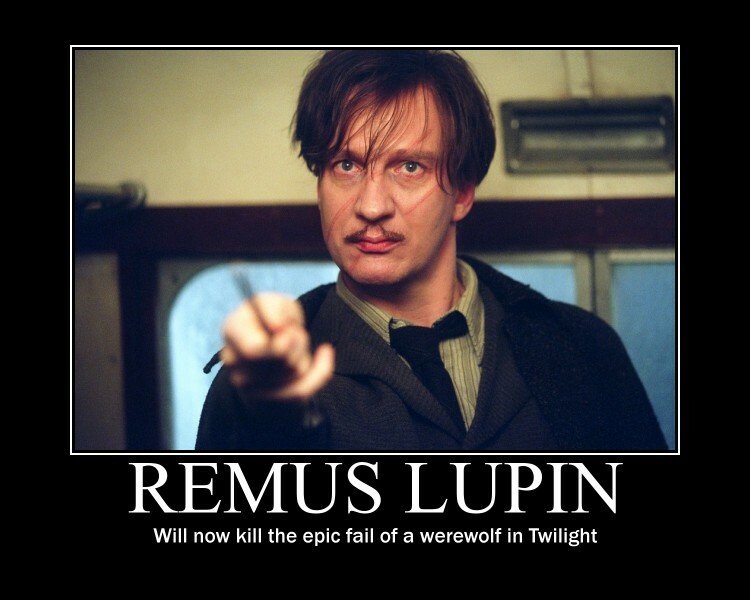 And Alan Rickman playing him was pure genius. Can you imagine anyone else in that role?? 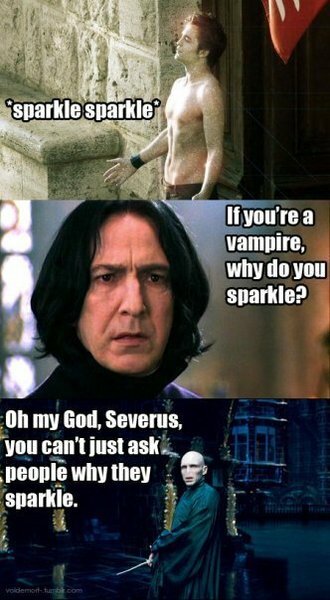 I can't stop laughing- The one were Voldemort chastises Snape for asking why vampires aparkle is my fave. Where do you find these? DO you make them up? I freaking love coming back to your blog. Its official, any book you write, I'm gonna buy.